Forget the usual armor, an iron exoskeleton will now be your best protection. 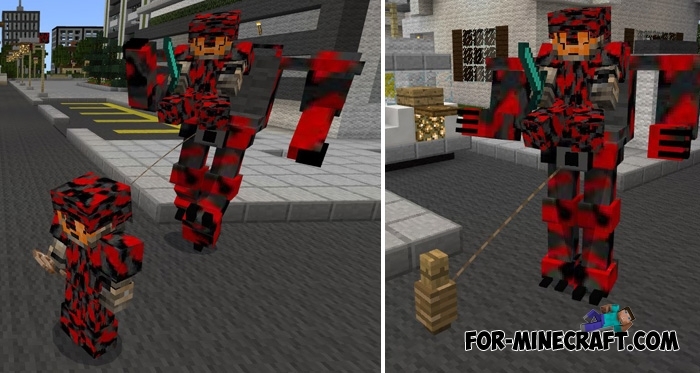 Add a real mechanical exoskeleton in MCPE 0.17.0 (also known as 1.0). This robot has several useful functions such as protecting you from enemies and the ability to ride and control it. Furthermore, a new suit is pretty good in combat and causes great damage. Three new colors with the same characteristics were added. Also, a robot can climb on small mountains and descend from them. Some interface changes and attitudes to other mobs. 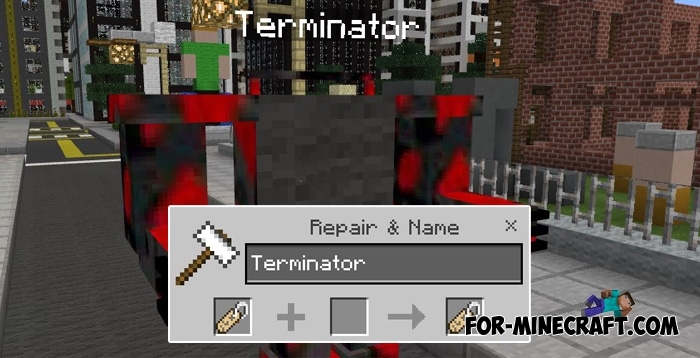 The update modifies the appearance of the exoskeleton. Now it looks like a giant robot made of sheet steel. Also a new "suit" got more powerful features. Having such a suit, you can absolutely destroy any creature. The robot has 500 hearts so it is invincible for some time. There are also fire-resistance effect and a powerful damage. 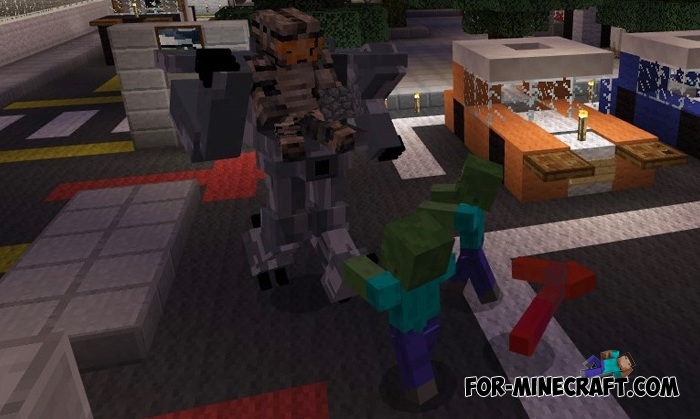 Zombies, skeletons and other similar mobs will be dead after the first hit. Other features (see below) remain the same. Inventory, nametags, restoring health, and also work as in the previous version. The addon supports Minecraft PE 1.0.2. Now the suit has more health and a more powerful attack. A very useful feature is a inventory. You will get 27 slots for storage anything. To open the robot inventory long tap during the ride, and then click on the "Ride" button. After you can move things. To restore their health use the iron ingots. Just feed the robot and health will increase. Ability to give a name for your robot. 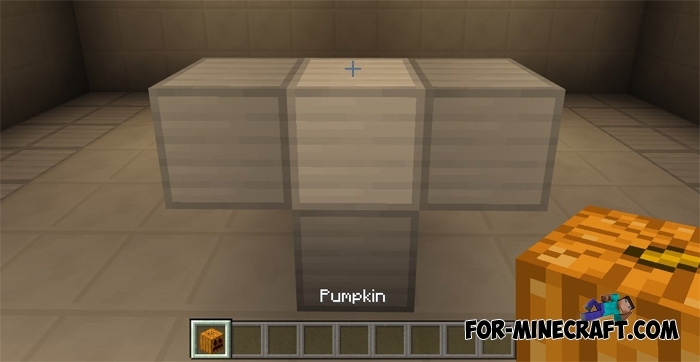 To do this, use an anvil and after tap on the robot by name tag. Also, it is possible to put a leash. Now the player is similar to a suit due to the new armor (diamond armor), it looks pretty good. Now, you hold in your hands a joystick instead of a rod to control the robot. How to get the suit? 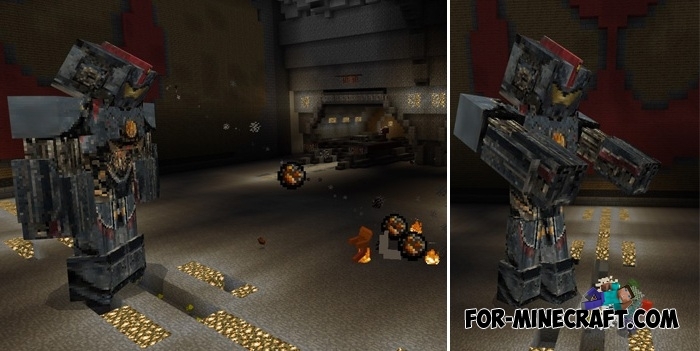 Mech Suit Addon, like all other addons for Minecraft PE, replaces one mob by the other. 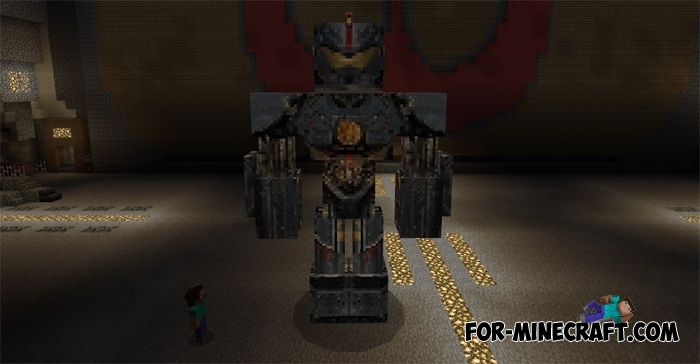 At this time, the iron golem has been replaced. 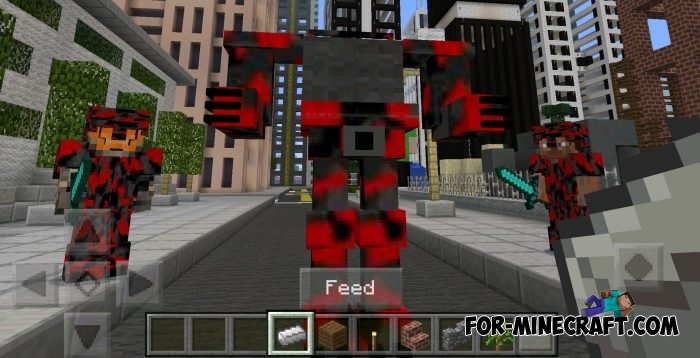 Therefore, to spawn this walking costume you need to build the same structure for call the golem. Once the robot spawn, sit on it and take in hands a carrot on a stick. With it you can easily control a ride direction. 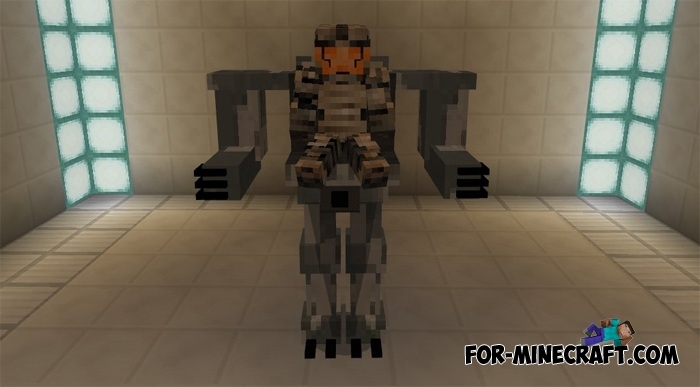 If you want your mechanized suit will attack hostile mobs just simply choose any other item while riding. Unfortunately but the exoskeleton can be destroyed (75 health points). Also, you can not carry things or give him orders. But in any case, Mech Suit looks very cool! Instant Structure mod for MCPE 0.10.5Instant Structure mod allows you to instantly create a pre-saved buildings. To do this, you are given a 2-piece, one you choose the right preparation, and the second set it to the right place.